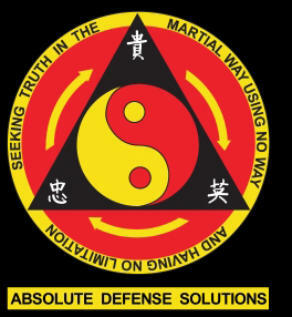 ABSOLUTE DEFENSE SOLUTIONS offers higher level education in self defense and street survival. Located in Tucson AZ, we provide a safe comfortable and friendly environment to learn reality based self defense. We teach reality, not theory. • A secretary who smashed the nose of a sexual predator… • A college student who stopped a stalker with one elbow strike… • A 42-year-old real estate saleswoman who dropped a predator with one kick… • A high school teacher makes a much larger aggressor back down with just verbal skill and the confidence gained from training… What do they all have in common ? THEY WERE ALL TRAINED BY US… SHOULDN’T YOU BE? Wouldn’t you like to know that you can truly protect yourself and your family? Now is the right time. This is the right place. Stop by and see why we are the choice of law enforcement, executive protection professionals, and bodyguards. WE ARE A REALITY BASED SELF DEFENSE SCHOOL, NOT A SPORTS BASED FIGHT CLUB. Jeet Kune Do: is the core of our martial arts philosophy that we teach in Tucson and is the scientific art of street fighting developed by Bruce Lee. Lee developed a way of self defense to end a fight that was simple, direct, and economical. 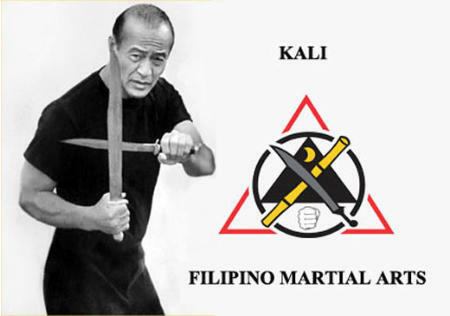 Filipino Martial Arts/Kali: passed on by Sifu Paul Vunak to Sifu Kirby Tucker, the Kali system developed by Dan Inosanto consists of 12 Areas, including the Single Stick, Double Sticks, Stick and Dagger, Single Dagger, and Empty Hands. Kali is an excellent warfare-based martial arts for self defense that teaches you how to use any weapon. Rapid Assault Tactics: The official combat fighting method of the U. S. Navy SEAL Teams; this streamlined version of JKD applies rapid, pain- inducing entries, in-your-face pressure, and brutal termination of the enemy; applied correctly, R. A. T. neutralizes an opponent within 9 seconds. HIGHER EDUCATION IN REALITY BASED SELF DEFENSE ABSOLUTE DEFENSE SOLUTIONS offers higher level education in self defense and street survival. Located in Tucson AZ, we provide a safe comfortable and friendly environment to learn martial arts. We teach reality, not theory.